Candidates should have completed 12th or its equivalent qualification from any recognized board from the recognized University. For the post of Assistant Sub Inspector (Stenographer), shorthand speed is @80 words per minute in English OR in Hindi for 10 Minutes and Head Constable(Ministerial) typing with minimum speed of 35 words per minute in English OR 30 words per minute in Hindi. Candidates need to send application form in prescribed format from along with self-attested copies of important document to the two attested passport size photograph send to relevant examination centers as per official Notification on or before 30 days from the date of publication in Employment News. 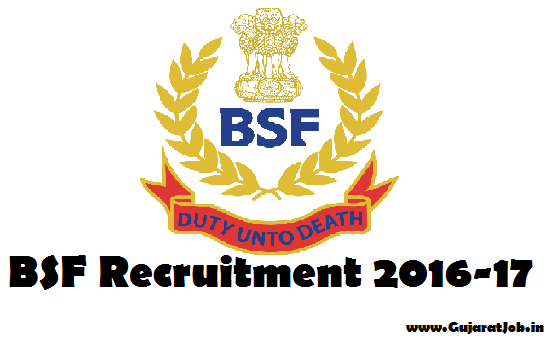 Desirous candidates should send their duly filled application in the prescribed format to the given address BSF Vacancy 2017. 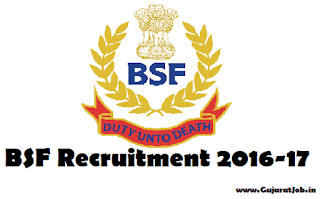 BSF Result 2017: After completion of selection process, candidates will able to check official website for BSF Result 2017.